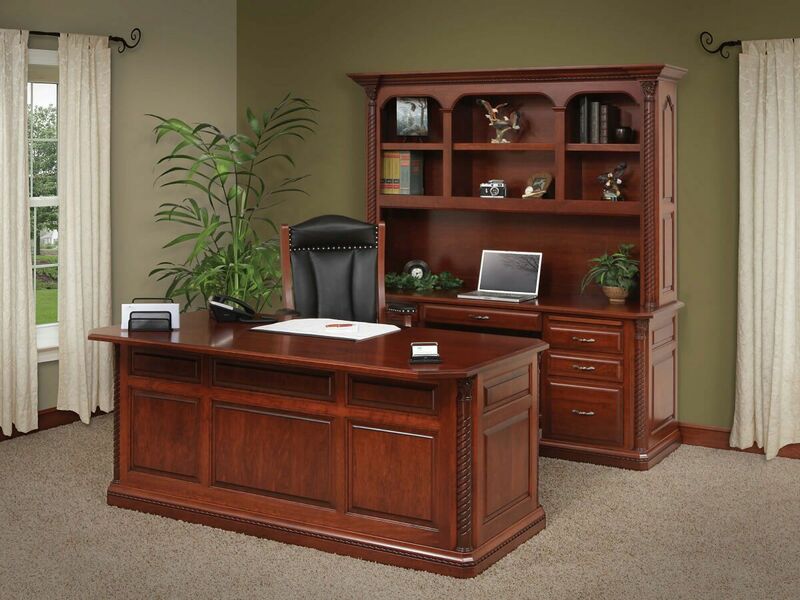 You need everything at your fingertips and tastefully stored in your office. 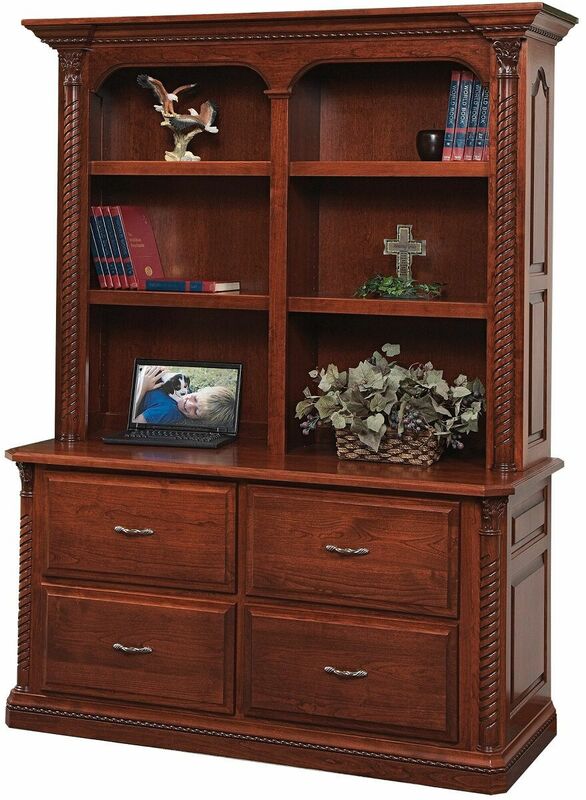 Countryside's New Haven Double Lateral File Bookcase is exactly what you need. Practically speaking, our New Haven Double Lateral File Bookcase is a small wonder. Four dovetailed, full extension drawers house your files in an orderly, pragmatic fashion. You could almost forget that everything in our New Haven Office Set boasts ornate carved corners, raised panels, braided corner posts, and regal rope moulding. There are four adjustable, wooden shelves upon which you may sensibly alphabetize books, catalogs, and resources. Of course, you could also highlight the exquisite hardwood and custom stain you have chosen by adding only credentials, pictures, and collectibles sparingly. It's your choice really, as is nearly every detail of your New Haven Double Lateral File Bookcase. Choose from the options menu to design your perfect storage system. Countryside will build your New Haven Double Lateral File Bookcase to your specifications and deliver it to your home or office.